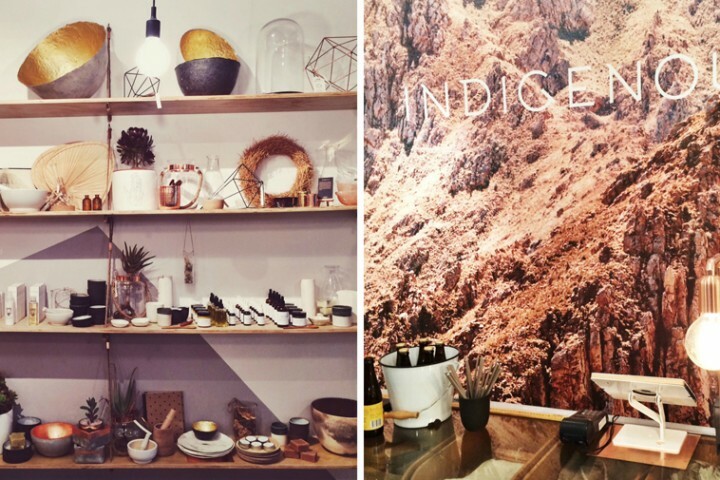 Let’s be real: beauty is a minefield. 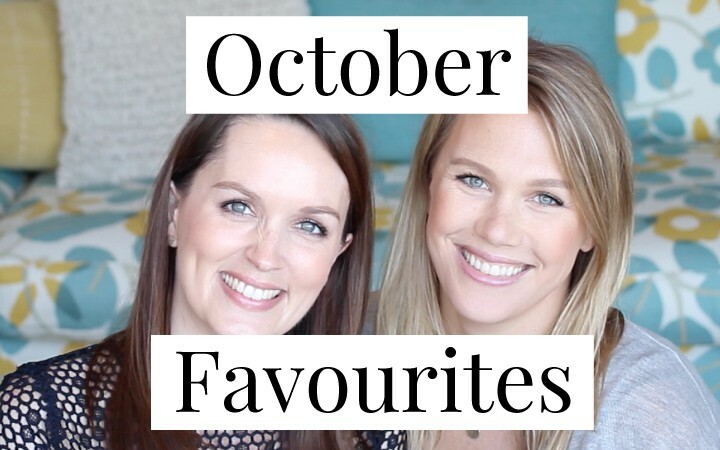 It’s a completely saturated industry and yet every day we see more products being launched and categories being invented, which makes picking the best makeup and skincare for you even more complicated and confusing. We’ve had a lot of conversations with women recently about what skincare and makeup we would recommend and why, and we find ourselves suggesting the same things over and over. With that in mind, I thought it might be helpful to break things down by brand so you can get an idea of what we think each company does best. Without a doubt, this is the star of the show for me; I have used it for years. It’s the only physical exfoliant that I’ll regularly put on my face but the rice-based powder is so gentle that it hardly even qualifies. It also contains chemical exfoliants in the form of papain (papaya enzymes) and salicylic acid that get rid of dead skin cells and keep your pores spotlessly clean, leaving your face super smooth and bright without damaging or stripping it. While it’s technically gentle enough for daily use, I don’t think that’s necessary, especially if you’re already incorporating AHAs/BHAs into your routine. It’s outrageously expensive but a little goes a long way, and if you use it weekly/bi-weekly like I do, then it will last for ages (I’ve had my current bottle for over a year). It really is one of the best skincare products on the market, from any brand. I’m a big fan of a good toner spray, not as an essential skincare step (because it isn’t), but as a pleasant sensory experience. 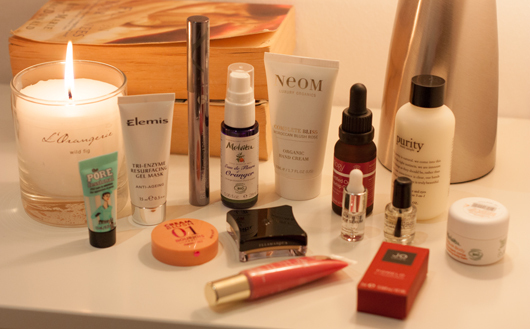 I’ve mentioned before that the way a product feels and smells is important to me because having to go through a fairly extensive twice-daily skincare routine is so boring that I need a little luxury to get me through it. In the morning, this takes the form of a delicious hydrating spritz and this one is the bees knees. Not only does it make your skin feel plump and fresh but it adds a light antioxidant barrier to fight against free radicals; an important part of any anti-ageing regime. It can also be used as a makeup finishing spray to calm down powdery-ness, as well as refresh your skin throughout the day. Girls with dry and/or dehydrated skin will especially enjoy this I think, plus it’s one of the better value items in the range. 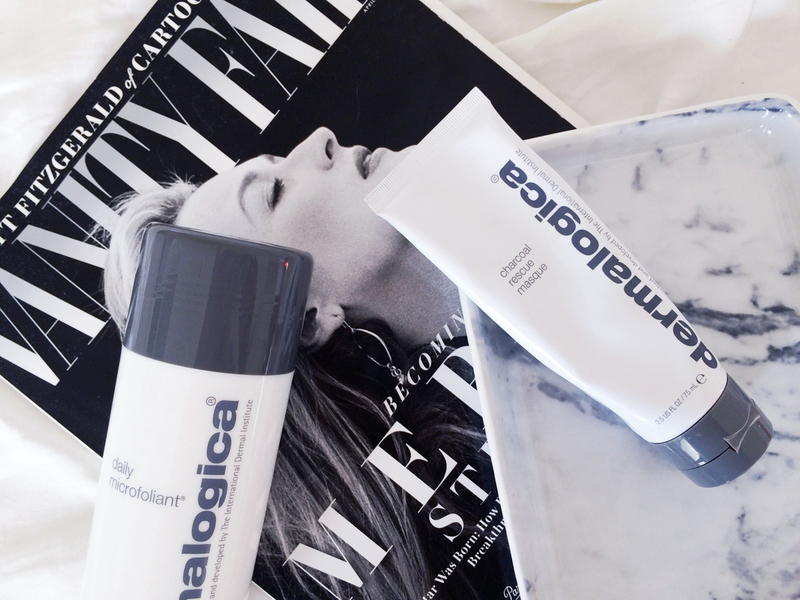 This is a new release from Dermalogica that I reviewed recently and have really been enjoying. I had a mild but persistent breakout on my forehead last week and a few days of using this mask cleared it up better than anything else I tried. It’s like an ever-so-slightly gritty version of the Origins Clear Improvement Active Charcoal Mask which isn’t available in SA (much to all our disappointment, I’m sure). The “grit” is thanks to the inclusion of a very fine marine silt that provides some light exfoliation as you remove the mask from your face. Activated charcoal plus the more typical kaolin and bentonite clays draw the gunk from your pores, while sulfur promotes cell turnover so you’re left with a wonderfully bright complexion. There’s also some Chilean wild mint in the mix which makes it smell and feel wonderfully refreshing (see, here we go again with the sensory stuff!). I seriously struggle to find an SPF that I can comfortably wear under makeup every day – I’d actually go so far as to say it’s impossible when you have combo-oily skin. That’s why I love this product – not only is it a genius way to add sun protection to any product (moisturiser, primer, foundation) but it doesn’t interfere with the texture of whatever you’re using. You aren’t left with a white cast or a greasy film over your face; just perfectly protected skin. Broad spectrum SPF 50 protects you from both UVA and UVB rays (ageing and damaging, respectively) but vitamins C and E give you added antioxidant protection to fend off those pesky free radicals that break down your skin’s collagen. It’s such a clever product and I don’t know why more brands don’t make something like it. 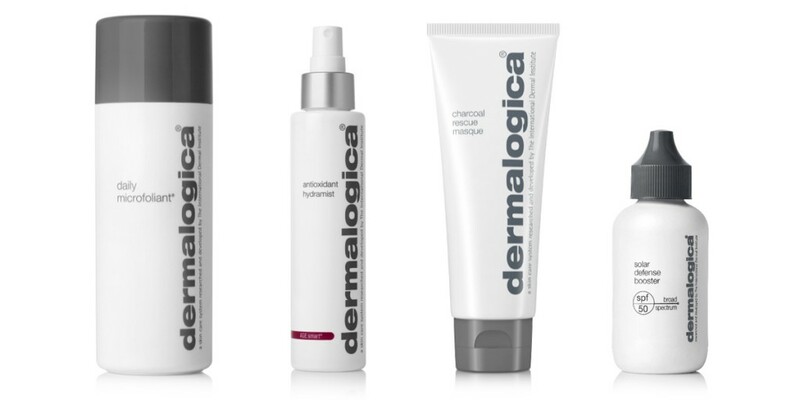 Is there anything else from Dermalogica that you think deserves a mention? What other brands would you like to see recommendations for? Leave a comment below! Sephora and Bobbi Brown Haul! Great post! I used dermalogica religiously for years, but eventually decided the results did not justify the ever increasing price. My skin is very sensitive, similar to Camilla’s. I also ended up with a dehydrated skin with no barrier, maybe I was overdoing it or maybe the products just were too harsh for me. I did love the microfoliant though! Since simplifying my routine with milder products and starting a topical vitamin A/BZP cream my skin looks great. And as far as sunscreen is concerned I was also permanently in search of the perfect daily sunscreen that doesn’t sting my eyes (bioderma… Ouch!) and works under make up without being cakey (eucerin…). Then discovered Heliocare gel at my dermatologist. Best find of the year! Please try it! I tried the Heliocare Airgel once and HATED it but maybe I should give the brand another chance because everyone raves about it. Jules, try the Nimue SPF40. I have combo/oily skin and I find it works better than anything else I’ve tried, including Eucerin SPF50 mattifying fluid and Bioderma options. Have to agree with that – the Nimue Sun C SPF40 is divine. I’ll never be without it! Also love the Dermalogica Microfoliant, have had my bottle for ages too. Ok cool – holy grail sunscreen, here I come! I agree with Lize, the Nimue one has become my recent favourite. I haven’t tried the Dermalogica one though. The charcoal masque is the absolute best! I started using it 2 weeks ago and I’m addicted! Also have to agree with the conversation above, I’ve been using Nimue JUST the SPF (the rest caused the worst reaction) but their sunscreen is amazing! They also have a tinted one that I’m interested in trying. Is there any product – generally – that is as good as Dermalogica but not as harmful to the bank account? I allow myself to buy a masque every 4-5 months from them – they really are wonderful – but I’m simply unable to afford the rest of their products. There are plenty – that’s kind of the point of this post! I’d sooner use lots of other cleansers, masks and moisturisers from more affordable brands than the ones from Dermalogica which work but are very expensive. Is there a specific product you’ve got in mind that you’d like a recommendation for? Hi Jules, thank you for your reply. What do you think of Regim A, Nimue and Ren? They are also a little more on the expensive side but not quite as bad as Dermalogica. Any other recommendations you have are very welcome too! Of those three I have only tried REN (which I think is a great brand) although Nimue comes highly recommended by the people I know who use and love it. I really love the Multivitamin Power Firm eye cream, Daily Microfoliant and Gentle Cream Exfoliant – I used to use all their products a couple of years ago (until the excessive price creep!) but now prefer Opti Phi – far better results for less. However these three products are stars! I’ve been using Deramlogica for years; it’s expensive but I find it totally worth it. Active Moist is such a great moisturiser – Even if I quit using the rest of the range it will be something I find difficult to replace. I use Special Cleansing Gel, which is a take or leave it actually, and then Microfoliant three times awake depending on my hormonal cycle. I used to use a toner they’ve discontinued and so switched to Antioxidant Hydramist. Love, love, love.